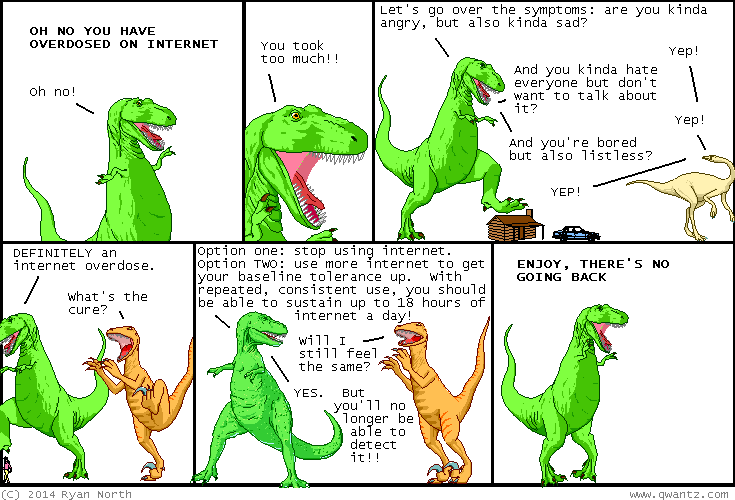 Dinosaur Comics - October 2nd, 2014 - awesome fun times! October 2nd, 2014: Here is a song by Tigernaut called Jacques Esqueleto! I Thought I Made You Up. It is an instrumental song named after this comic and I rate it super rad! One year ago today: this is our first ask professor science since his shirt has been discontinued! he lives on in our memories. also, in this here comic series.